Renowned seafood restaurant on Queens Wharf, you can feel the history as you dine in this old warehouse. Shed 5 also has an outdoor terrace for when the weather's nice, so it's very popular in summer. The interior really showcases the maritime heritage of the area, but don't expect run-of-the-mill fish and chips here - this is proper gourmet stuff. Fresh from the market that morning, they'll rustle you up a Saffron & Chorizo Risotto with Mussels or the Tempura & Paua. There are plenty non-seafood options too, including Glazed Duck Breast and Lamb Rump. It's a laid back place where people like to spend a few hours breathing in the sea air and drinking in the wine from the fine list on offer. Worth booking in advance. 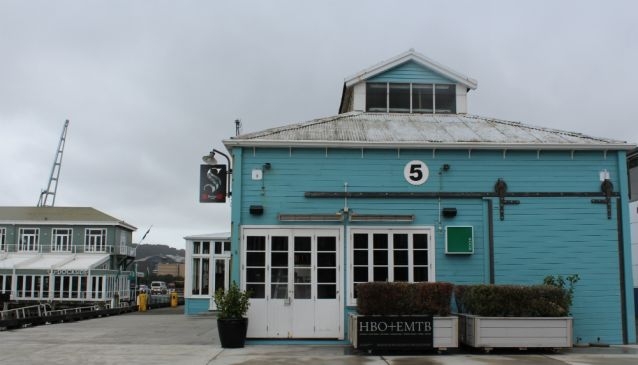 With its waterfront location, Shed 5 is an ideal venue for special occasions, weddings and business meetings with a private room seating up to 60 people for dinner and 100 for cocktail functions.